Beautiful clean, delicately sweet blend. 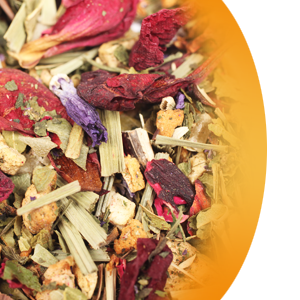 Bring you inner peace with each sip of this earthy, pleasant herbal tea. Ingredients to include: aloe vera, apple, nettle, strawberry, pineapple, banana, hibiscus, rose, chamomile, and papaya. Caffeinie free.